Our education programs will get your students involved while meeting the objectives of the Program of Studies of the Quebec School. The Marguerite Bourgeoys Museum offers you a stimulating and enjoyable educational outing. Pedagogical project for teachers and adolescents of secondary schools. A Day in New France in Old Montréal! 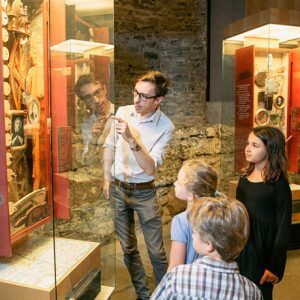 For your next class outing, why not whisk your students back to the days of New France by visiting two museums in Old Montréal? 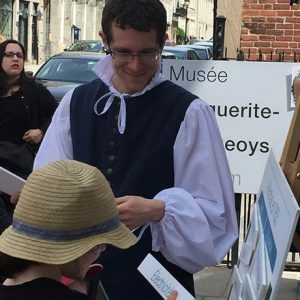 At the Marguerite Bourgeoys Museum and the Château Ramezay, they’re sure to enjoy learning what life was like for the early settlers right up to 1760, with some fascinating hands-on activities.